Stress-related disorders, especially adjustment disorders, are widespread among working populations and are responsible for high costs in terms of suffering, sick leave, disability, and economic losses.  Despite their high prevalence, there has been relatively little research on the effectiveness of treatments in an occupational health care setting. Guidelines for occupational physicians and general practitioners in relation to mental health problems were recently developed in The Netherlands and are discussed in this article. The guidelines provide a classification based on terms that are already used in the profession and are consistent with the diagnosis "adjustment disorder". They give recommendations for guidance and treatment on the basis of existing evidence, experience in adjacent fields, and consensus procedures. They are based on cognitive behavioral principles, mainly stress inoculation training and graded activity, and aim to enhance the problem-solving capacity of patients in relation to the work environment. The aim of this paper is to contribute to the exchange of and a discussion on methods and good practices in primary and occupational health care.